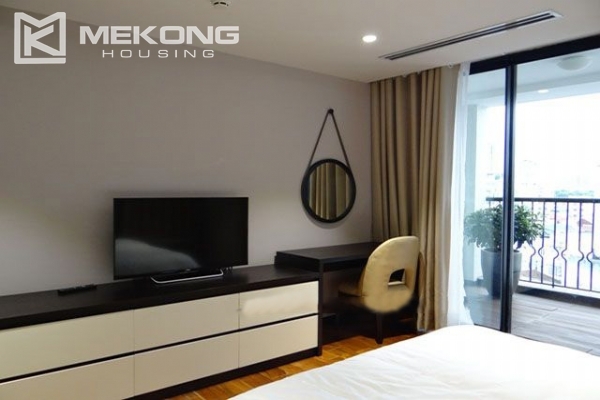 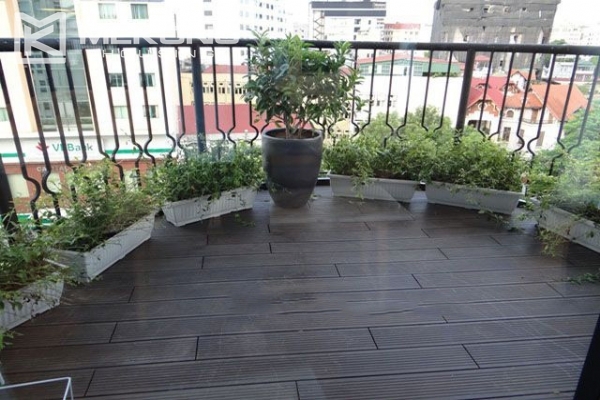 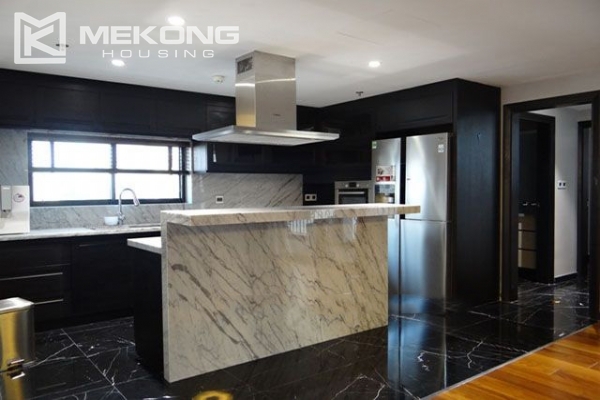 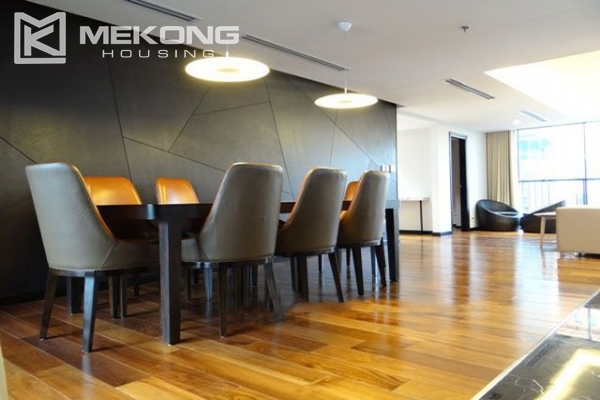 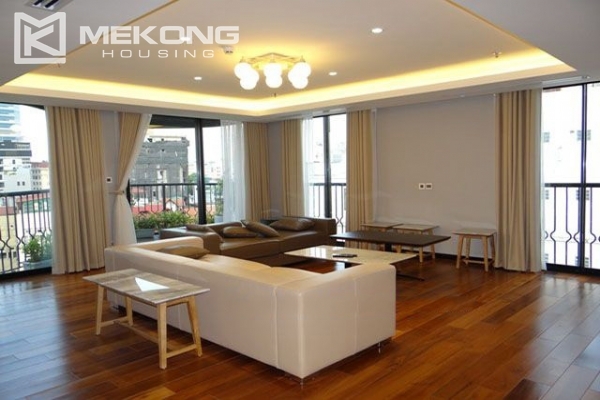 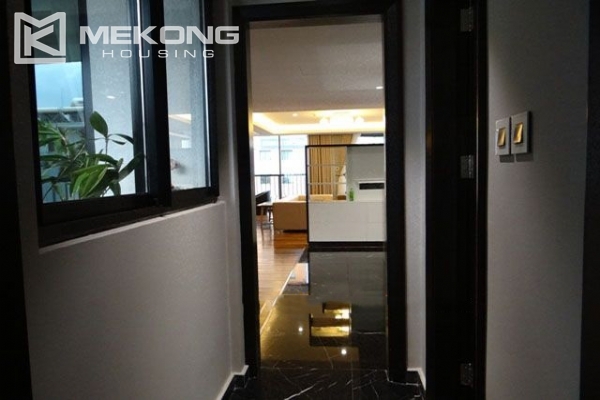 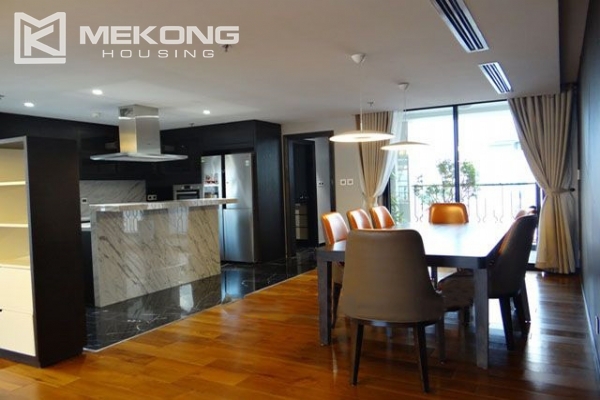 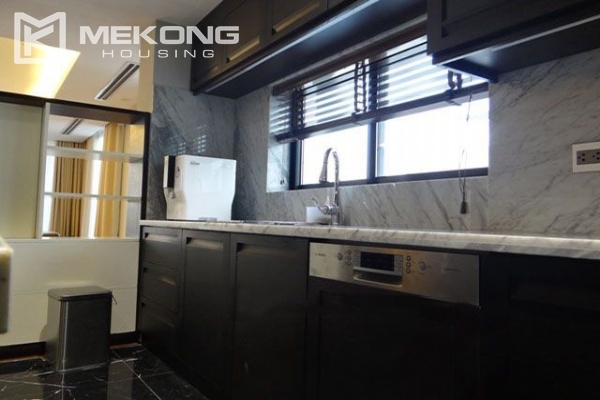 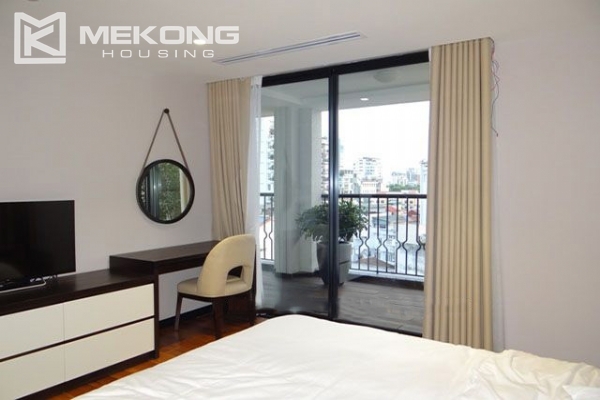 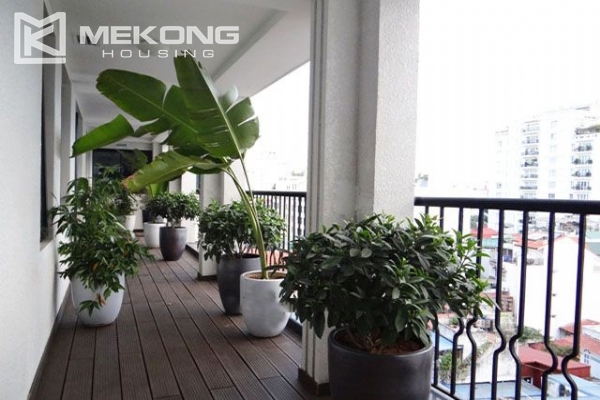 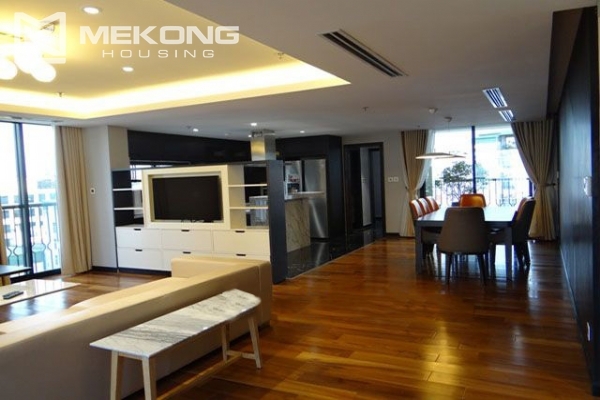 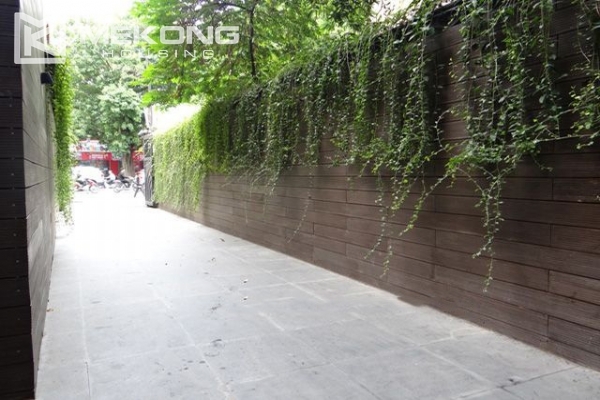 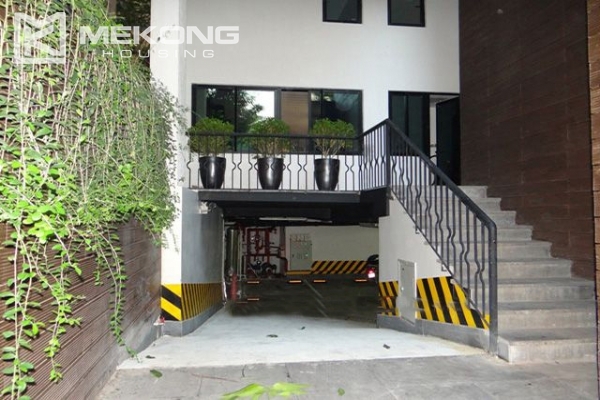 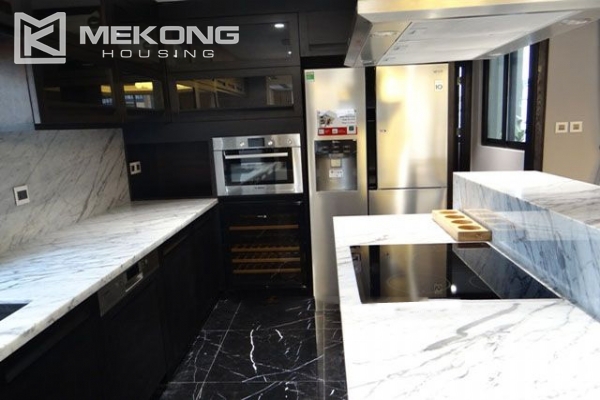 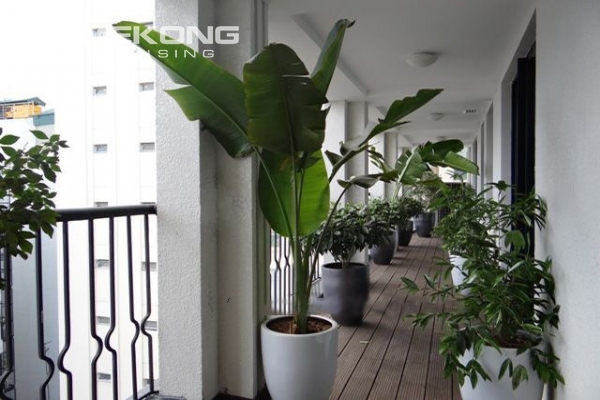 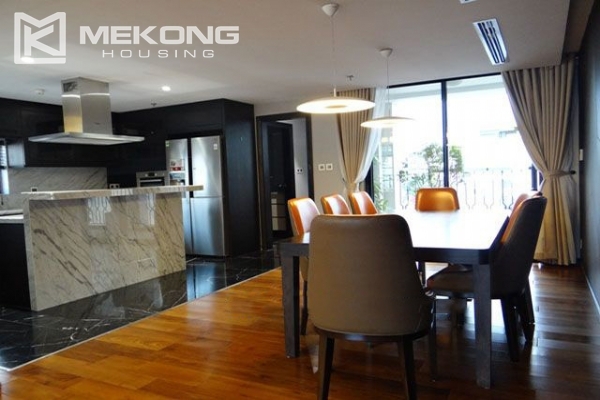 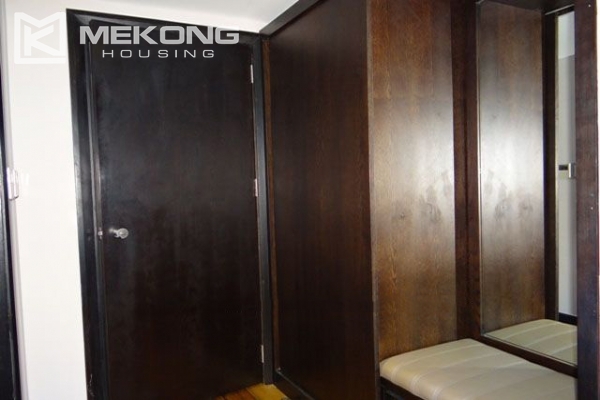 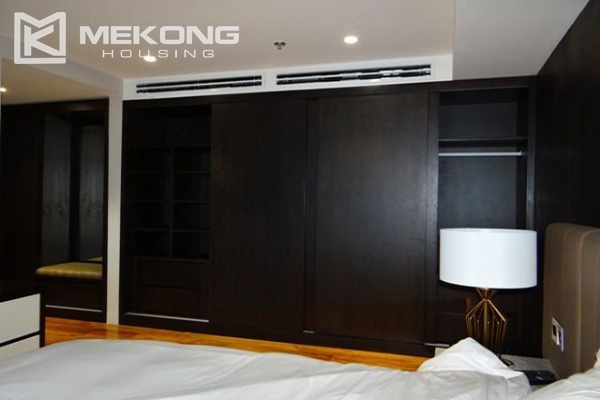 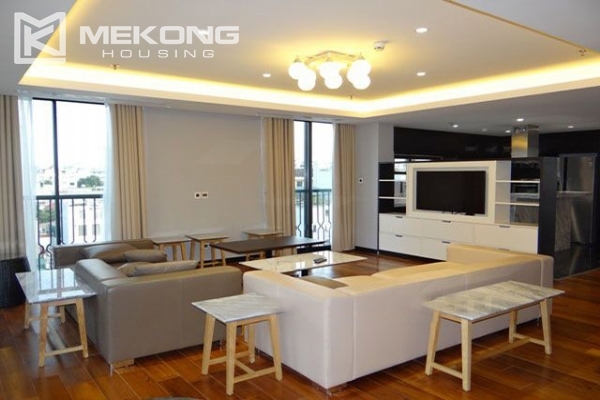 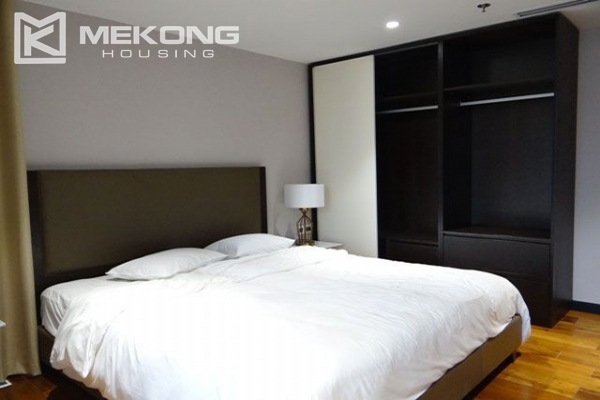 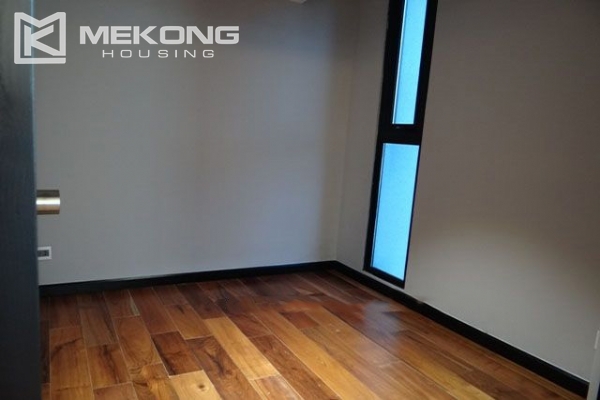 A brand new and modernly furnished apartment for rent in Hoan Kiem, Hanoi is located in a peaceful lane, with direct car access, green environment, only few minutes walking distance to the Hoan Kiem lake. 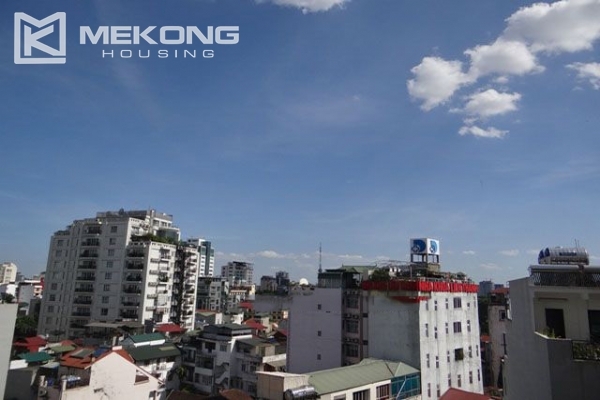 Total living area is 245 sqm, composed of a spacious and open living room area with access to a nice terrace with a nice and green view of the neighborhood, very modern equipped kitchen with oven, stove, dishwasher, a big fridge, microwave and kitchen utensils. 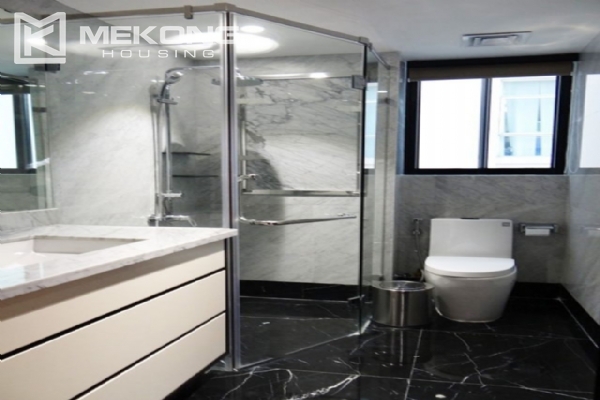 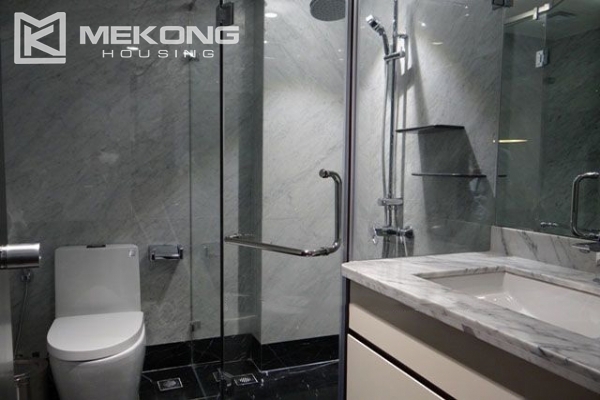 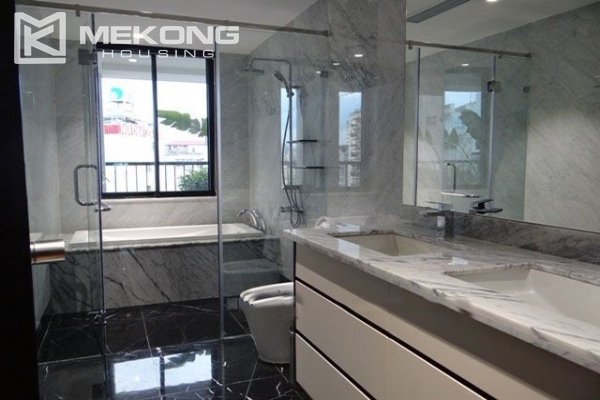 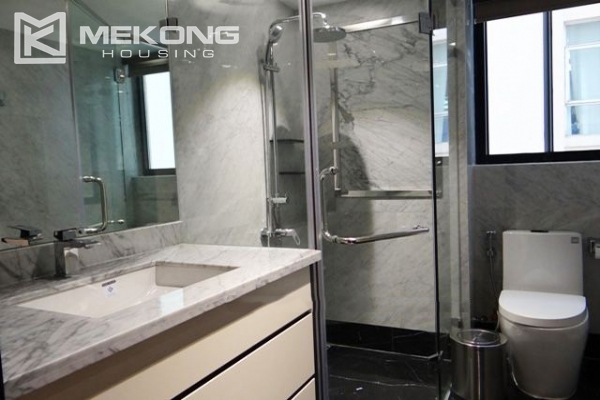 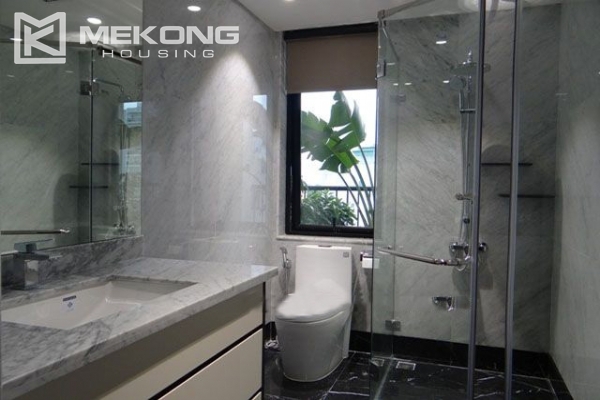 The apartment has 03 bedrooms, each bedroom has its own bathrooms with modern bath & walk-in shower. 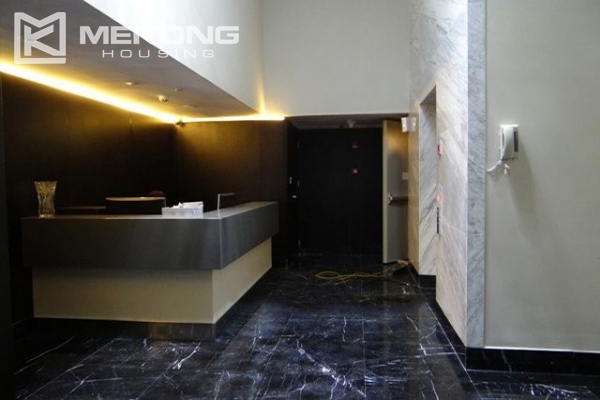 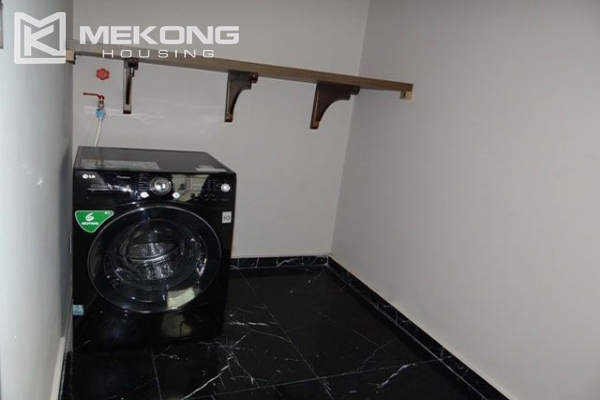 There is a bathroom in the lounge area for guest; at the back side of the apartment, there is a large balcony also with open view; there is a separated office room, lots of storage spaces, laundry with washer and dryer.